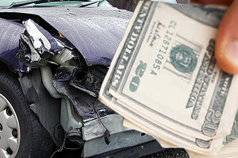 Pluck A Part’s cash for junk cars offers you cash for your unwanted vehicle. Our cash for junk cars program welcomes all years, makes and models of vehicles, domestic and foreign, whether they are running or not! We specialize in vehicles that are 7 or more years old and offer the highest prices for your junk cars and trucks in Phoenix, Arizona. If your junk car is not running do not fret, we have a fleet of tow trucks available to serve you seven days a week. Call 1-866-620-2652. All junk cars that come to Pluck A Part’s auto salvage facility are cared for in an environmentally-friendly manner. Our team of expert car dismantlers will remove and recycle all of the vehicle fluids and hazardous materials from your car as soon as it arrives at our facility. Through environmentally responsible recycling of junk vehicles, we all help the environment by reducing the need to create new products from raw materials which in turn saves energy, water and reduces mining and other production wastes. The cash for junk cars program buys vehicles all across the greater Phoenix, Arizona area seven days per week. Contact our cash for junk cars hotline now and get a quote for your junk car or truck and put money in your pocket today! You accept our offer and we collect additional information from you to complete the sale. You drop off the vehicle at our Pluck A Part store. Get an unwanted vehicle off your property. Get cash for your vehicle that you’re not using any more. Help someone who’s looking for parts for their similar vehicle. Why Should I Sell My Vehicle to Pluck A Part? We offer the highest prices for junk cars and trucks in Phoenix. We pay you in CASH! Our environmentally-friendly process removes and recycles vehicle fluids and hazardous materials. Remaining scrap metal will be used to create new steel and other products. By recycling vehicles, we all help the environment by reducing the need to create new products from raw materials which in turn saves energy, water and reduces mining and other production wastes.. If you’re dropping off your vehicle, you can shop for parts while you’re here! We are experts at what we do — we pick up and recycle thousands of vehicles per year. We take dangerous vehicles off the roads, and recycle them. Not only do we keep the roads safe for your family but we help people who cannot afford new auto parts.